– A piece of glass large enough to cover the top of the aquarium–make sure it will cover the entire opening in the top. – Put the gravel and charcoal in the bottom of the aquarium/soda bottle. – Now put the potting soil (or compost) in a layer of at least 1 inch on top of the gravel and charcoal. – Plant the plants around the aquarium/soda bottle. – Spray 10 spritzes of water from a spray bottle into the aquarium/soda bottle. 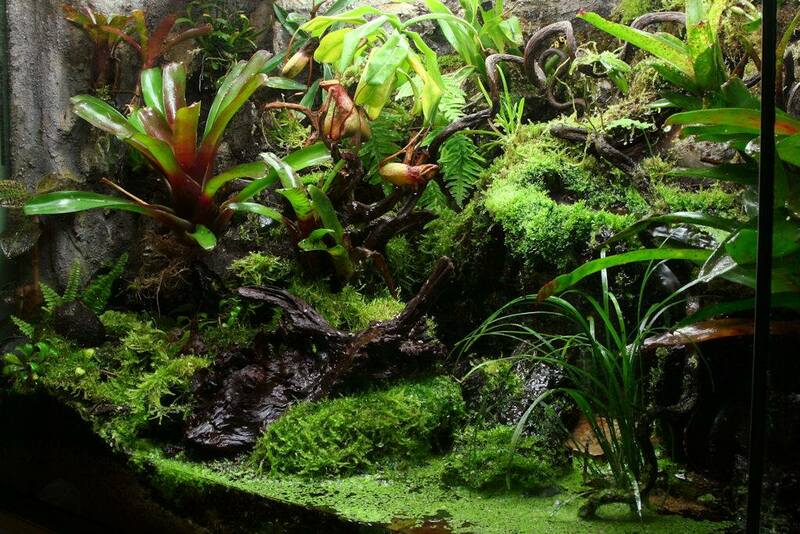 – Put your new terrarium in a warm, well-lit spot. – Watch what happens–keep a notebook.